I’ve been away for seven days, without access to email or the internet, in a country where I couldn’t speak the language, in a place with no newspapers in English anywhere to be found. It was a blissful detoxification from the media echo chamber — and from the even more deadly poisons of politics and power that the chamber so confusingly and cacophonously presents. Only once, briefly, did I find myself in a room where CNN was blaring on a tiny television set. As it happened, it was the exact moment when Joe Biden was being anointed as Barack Obama’s running mate. It was a live feed: Biden was at the podium, giving a strangely stilted speech in a fake Southern accent. (Perhaps he was trying to channel Bill Clinton — or maybe Sam Nunn.) Although wearing a tie, he was coatless, with shirtsleeves rolled up, in that classic pose of political hackery: a man ready to “go to work for the American people.” (Obama, looking on rather distractedly from the side, was dressed in the same way). I’ll admit that I was somewhat surprised that Biden was the pick. Even before my exit from the echo chamber, I had been studiously ignoring the fevered speculations and fine-toothed combing that attended every burp and belch from the Obama camp leading up to the great announcement. It was obvious that Obama would continue his Dukakis-come-lately strategy and pick some safe, white pair of man-hands covered in Beltway hoar. And I had noted that he had dispatched Biden to Georgia during the late unpleasantness there. (To do what exactly was unclear, unless it was to assure Mikhail Saakashvili that the flow of arms from America’s war-profiteers would keep flowing under an Obama administration, despite Misha’s bone-headed brutality in launching a sneak attack on South Ossetia.) But still, in the few nano-seconds that I thought about it, I assumed that Obama was just using Biden to build up some foreign policy cred with the media-think tank crowd — the only people stupid enough to believe that Joe Biden is some kind of foreign policy expert. Yet there he was, Old Joe Biden, hawing and barking behind the rostrum, just one step away from being one heartbeat away from being the President of the United States. The only thing I could think to say was what my daddy always used to say when confronted with a confounding event: “If that don’t beat a hen layin’ in a wool basket.” I had many other, better things to be getting on with at that moment, so I let Biden’s outpouring of clichés — clunkers so worn down with over-use that they hardly qualified as actual communication — slide away without much notice…until he began to tell about his own background. Then my gorge began to rise. Biden talked of a roughhewn upbringing among honest, hard-pressed working folk. Yes, this prince of the Senate — 36 years of feeding at the public trough, of being wined and dined and coddled and bankrolled by some of the most powerful interests in the land — dared hold himself out as a champion of the common people. This would be the same Joe Biden who spent year after year relentlessly pushing the creation of what I once called “the nuclear bomb of class warfare”: the Bankruptcy Bill, which put a stranglehold on millions of Americans — the weakest, the poorest, the sickest, the unlucky, the ripped-off, the young couples just starting out, the old people trying to hang on. Biden poured filth on them, he joined his campaign paymasters — the hoggish credit-card conglomerates — and his ideological soul-mates on the Republican side to drop this bomb on the hard-pressed working folk he was now claiming to roll up his shirt sleeves and go to work for. He was turned back many times (I first wrote about the bill back in 2002), but at last he locked arms with George W. Bush — his partner in “financial services industry” grease — got the bill passed in 2005. So what does the bill do? It makes it harder for average people to file for bankruptcy protection; it makes it easier for landlords to evict a bankrupt tenant; it endangers child-support payments by giving a wider array of creditors a shot at post-bankruptcy income; it allows millionaires to shield an unlimited amount of equity in homes and asset-protection trusts; it makes it more difficult for small businesses to reorganize while opening new loopholes for the Enrons of the world; it allows creditors to provide misleading information; and it does nothing to rein in lending abuses…. It turns out the average annual income of Americans who file bankruptcy is less than $30K, not the loose affiliation of millionaires and billionaires gigging the system that we all heard about when this bill was debated. Also, the vast majority of people who file bankruptcy don’t do so to strategically hang on to their mansion on the hill, but because of medical bills, a job layoff, or both. Real people, real lives. In most cases, the existing laws do wipe away some debts, particularly unsecured debt. But it leaves many others on the books, while destroying the debtor’s credit rating for years to come, closing the door on dreams of buying a car or house, or engaging in any of the innumerable transactions that now require ID and surety in the form of — what else? — a credit card. It’s no “easy out;” it’s a hard step, a desperate measure, fraught with lingering doubts, agonizing decisions, and irrevocable consequences no matter what you choose–much like abortion, in fact. Joe Biden eagerly voted for the liberty-stripping Patriot Act; indeed, he claims to be its guiding inspiration. Joe Biden is eager to prosecute the Terror War, which has already laid waste to three countries (yes, three; just because Obama, Biden, Bush and McCain never mention Somalia doesn’t mean that ravaged, unlucky land is not part and parcel of their beloved WOT) and killed more than a million innocent people. Let that last fact sink in for a minute. Let that blood wash over your hands as you sit back with a cold brewski to watch the political conventions and debate fine points of presentation and handicap the “horse race.” Mountains of the dead, vast pits of the dead, row upon row of the dead, just like the film clips you’ve seen of the Holocaust, all in the name of the berserker rage — and the cooly calculated profits and power-games — of the ‘War on Terror’ that both Biden and Obama want to wage in a “better” way than Bush has done. And, as noted above, Joe Biden stood shoulder to shoulder with class warlords like Bush and Cheney to punish and ravage and drive down working people and the poor, on behalf of the rich and powerful. As it happens, I do think McCain would be “worse” — but only marginally so, for reasons I’ve laid out before. But what does that matter? These are the wrong questions for a nation swimming, sinking, drowning in the innocent blood shed by its bipartisan war machine. These are the wrong questions for a nation whose politics have become — literally, with no metaphor or exaggeration — insane, mired in violence, delusion and self-destruction. 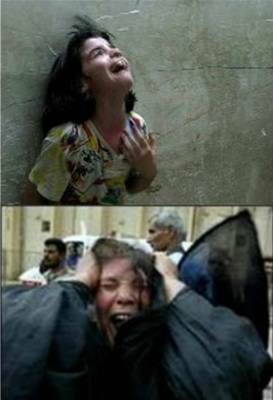 Whatever happens, whoever wins, there will be more war, more needless death, more mass murder in the name of America. Whoever wins, there will be more state-assisted assaults on working people and the poor. There will be more coddling of the rich, more servicing of the powerful, more injustice, more inequality. The country is broke — the bipartisan elite have looted it. The infrastructure is rotting; communities are dying; the quality of life is deteriorating for millions of people; the socioeconomic system, based on cheap gas and the consumption of a vastly disproportionate amount of the world’s resources, is unsustainable — but the bipartisan elite won’t fix these problems. They won’t even address them. They are too busy expanding the frontiers of empire, pushing for new adventures in Pakistan, in Georgia, in Iran, pushing for more war, more bases, more missile sites, more troops. Yes, McCain might push a little bit harder and a little bit faster, or in different directions — but the self-destructive, mass-murdering push will go on. Listen to what Obama is actually saying, listen to what Biden is actually saying, look at their records, look at their coterie of advisors. There is nothing but blood and suffering as far as the eye can see. And the choice of Joe Biden as a running mate only confirms this grim fate, which, it is now clear, we must bear out even to the edge of doom — if not beyond. *NOTE: For much more on the Biden pick, and in a deeper, richer vein, see Arthur Silber’s remarkable series here. This entry was posted in Barack Obama, criminal government, economy, election, Joe Biden. on United Nations Global Government. of our wealth called on by The Millenium Develpment Goals..
for the International cause and the Global common good. find a copy of, as it's 16 yrs old,  but it was a well know publication at the time. "How I Learned To Love The New World Order" - by Sen. Joseph R. Biden, Jr.
lie,  and to whom. NOT the United States of America that's for sure. BY FORCE,  for the purpose to,  and I quote ..
"buttress stable democracy in the former Soviet empire"
and "champion the cause of democracy in China." free economy and a free body politic"
thought. I KNOW THIS AS FACT. Well Obama worshippers here is your much anticipated change..
"On the Threshold of the New World Order"
the world until he graduated from the University of Delaware in 1965.
occasion, been brought back in my mind to classes I took with Dr.
Bennett," a man Biden called "well ahead of his time." Order: A Rebirth for the United Nations,"
"World's leaders must adopt a new understanding of security." States should "buttress stable democracy in the former Soviet empire"
force-fed to American's until they actually believe it. these operations .. just going to happen to fall from the sky?!! business practice, taxation and property ownership, he said. THIS IS A COMPLETE TAKEOVER AT ALL LEVELS. dramatic progress" could be made to reduce the nuclear threat. more than 500 warheads (per side)," he said. warheads to be eliminated," he suggested. government does not wish to join..
North Korea" from collecting additional weapons of mass destruction. in China, as well as his environmental record. brave and aspiring democrats-to whom power will ultimately flow." "Our blunder was both tactical and strategic." may say, have to choose between jobs and the environment." 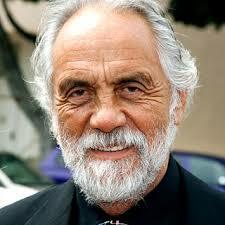 It turns out that Obama’s new running mate is one of the leading crusaders in the war on drugs. Which isn’t something that’s likely to sit well with Obama’s base of young, college-aged supporters. Barack Obama’s V.P. 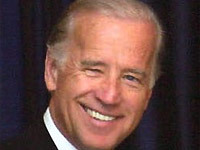 selection Sen. Joe Biden also spnsored the Rave Act, which targets music events where drug use is allegedly prevalent. Biden coined the term “drug czar” and has championed the Office for National Drug Control Policy. If there’s anything in this country that needs the vaguely-invoked “change” Obama is always on about it’s the war on drugs (it costs us a hell of a lot more than Iraq does annually). America suffers from one of the highest per-capita incarceration rates in the world (yes, we’re worse than China) and a majority of those incarcerations are tied to drug arrests. We spend billions upon billions on fighting the prohibition of marijuana and other drugs, and to what end? Drug use, particularly marijuana use, isn’t declining. Meanwhile, politicians like Biden keep upping the ante in the “war on drugs.” They come up with harsher punishments to inflate our already too-large prison populations, and new ways to invade our privacy and curtail our freedoms for the sake of making even more arrests. Given that, is this really the guy Barack “Hope & Change” Obama wants on his ticket? This entry was posted in Barack Obama, criminal government, Joe Biden. Another Democratic Defeat. The choice of Biden as VP is dumb. But then again: Democrats are most skillful in losing election. They are not even smart enough to realize maybe if you pick a politician from a Republican or on-the-edge state and who can carry, you enhance your chances. But Obama picks somebody from…Delaware. How many electoral votes does Delaware have? Whopping three. That would make for a victory, I am sure. Biden is the man who thinks he is a foreign policy expert because he wants to divide Iraq into three mini-states. Oh, yeah? How would he like it if an Arab proposes to divide his precious Delaware into three mini-states? Also, he is like other Senators: a predictable Zionist fanatic. A colleague of mine was once invited to testify before his committee. Biden asked him to join him for lunch afterwards. I asked the colleague if Biden sounded different on Israel in private. He said: no. He was as bad in private as he sound in public. Obama is doing everything possible to get…McCain elected as president. Biden is an assh*ole. Oviously Obama choosing this pri*k shows a tremendous lack of confidence. Obama’s VP pick gives his views on Shalom TV about Israel and the US as allies, why he is a Zionist, leniency for Jonathan Pollard, and why Israel had nothing to do with the US war on Iraq. This entry was posted in Barack Obama, Joe Biden, political whores.